If you had $125 to spend on comics in 1975, I think it's safe to say you could buy every new comic book on the best newsstand going and have a substantial amount of money left over. If you had $125 to spend on comics right now, you could spend that entire amount and not get one week's worth of Marvel and DC comic books -- two companies not even operating at maximum per-item output right now. That's simple inflation, of course, the generational kind, although I bet it wouldn't be very hard to spend that inflated $500, either. Because what's also at work is a change in comics. A magnificent change, and one that we rarely question or consider. Ask yourself this. What other comics could you have purchased in 1975 for your $125? If you went city limit to city limit in 95 percent of Gerald Ford's North America, determined to spend every last dime, what could you put on the backseat of your car? You could likely track down an issue or two of MAD in its near-sales prime -- if you considered that comics, which you might not. Ditto a spare Warren magazine or something like CARToons. You might be able to find an Archie or two up by the cash register. You could hit a bookstore and put together enough $1.10 digests from various comic strips until another $20 was gone. 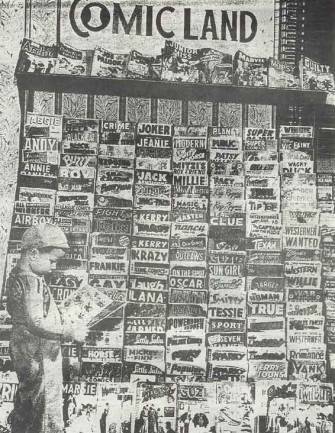 If your town had one of the early comics shops or a used bookstore of a certain kind, you might be able to find older copies of the same comic books you bought at that first spinner rack, maybe even enough to spend the rest of your money. If you were in the upper, most educated half of one percent of all devoted comics fans in the world, you might have access to and knowledge of various permutations of the underground/alternative comics world and might be able to spend some money there. It would be a challenge, an all-day affair and in the end a potentially dubious haul. In 2010, you can be separated from your cash allotment much more easily and with much less effort. You can also spend to greater reward. Take the smaller amount, not adjusted for inflation. With $125, you could buy those big company comics mentioned above, or you could snag enough comic books from companies not Marvel or DC and spend your pockets empty in no time at all. Or you could buy a couple thousand pages of manga, and give half to a friend. Or you could buy the entire run of Calvin and Hobbes with money to spare. You could buy Love and Rockets Volume One, a modern comics game-changer and its two finest serial soap operas. You could buy two years' access to several thousand Marvel Comics on-line, or four books comprising all of Jack Kirby's Fourth World comics for DC. 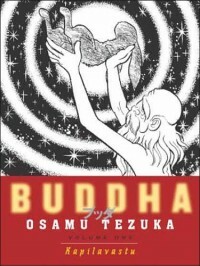 You could buy a black and white version of every story Marvel released in its two groundbreaking comics series Spider-Man and Fantastic Four when they were breaking ground, or the entire run of Tezuka's Buddha, or a few decades in the cartooning life of Jean-Jacques Sempé. It's an astonishingly different exercise than 35 years ago. Entire worlds have opened up. Even the footnotes have been collected. You no longer have to accept the word of historians that tell you Nell Brinkley's work is astonishing or that Humbug was a lost comedy classic; you can read these things for yourself. It's now possible to go from finding out that certain comics exist to wondering how we ever lived without them in the space of six months. 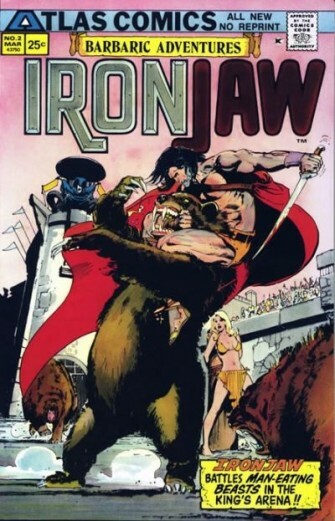 Heck, you can access for free -- or for a nominal price right up next to free -- more comics and cartoons than most people could have conceived of being able to get at for any price 35 years ago. Library collections have gone from having one or two Doonesbury books and a copy of Feiffer's Great Comic Book Heroes and maybe, oh maybe, the Blackbeard strips book to championing work that those of us with full-time jobs reading comics have never heard of when they get nominated for awards. Comics on-line is its own world so big that you can tell mathematically-based jokes about reading a certain number of web comics a day and how far into your dotage you'd be before you saw them all. If you saw them all. 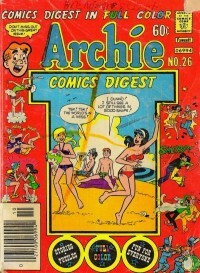 The comics art form has blossomed from one that even its most devoted fans left behind at age 14 to one that could conceivably stop producing art today and the heartbroken reader present at its funeral couldn't get to all of the corners and travel down all of the side roads already brought to life before she joined comics on the other side. 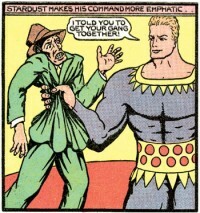 We're still discovering for basically the first time quality comics they made 50, 60, 70 years ago, from Fletcher Hanks to Herbert Crowley to Chon Day to a seemingly endless march of nearly forgotten work from known quantities with names like Cole and Stanley and Maneely. My brothers and I learned to read comic books at a spinner rack at the Marsh Supermarket on Tillotson and Jackson. We would put aside the ones we were to have purchased for us during checkout for our "help" with the shopping, and then take any others we still wanted to read and placed them for a few moments on the second shelf of the soda rack. We would then move the bottles on the bottom shelf around until enough space was carved out for each of us to have a little cubby hole, after which we would dig in and read second-rate comic books until the manager or, more likely, our mother, turned the corner and yelled at us to put everything back. I think I still read superhero comic books at the same brisk pace necessary to devour the contents of two or three before Mom made it to the fourth row past the bakery. 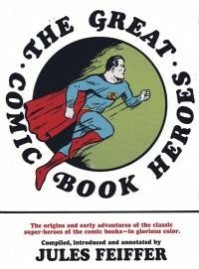 More to the point: between that little spinner rack and a shelf of books in the humor section of Helen Tirey's Book End, my brothers and I at an early age towered over the entirety of comics. One shove, one arm sweep, and we could push everything we knew about the medium to the floor. Even our collections were little. Sometimes I think that a lot of comics readers, particularly lifelong comics readers, including industry folk and creators and those of us lucky enough to have some platform with which to grapple with the art form on a regular basis, have yet to come to terms with the enormity of what has sprung up around us. You don't even have to go back 35 years to get a sense of how everything's changed. 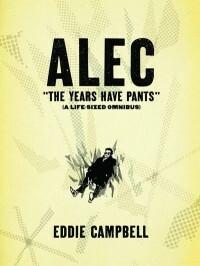 In two weeks late last month I received in the mail two books -- Footnotes In Gaza, Alec: The Years Have Pants -- each of which was better than anything I read the entire year of 1999. Seriously. That's one hell of a fortnight. That kind of thing didn't happen in comics a decade earlier. There simply wasn't enough of substance to distract us from something that might surprise or that we might simply forget about until it was in your lap. You engaged with the really good books from the point they were dots on the horizon and then right through their release and for six months after they were published across each and every format. Today we're lucky if the conversation on any one work extends past its listed publishing date. The docket is that full. I think the last step a lot of us have to take when engaging comics is that the field, the entire field, is far, far bigger than we are. It is definitely than any one relationship for it; it's likely bigger than any one imagination for it. It's okay to have an interest in only part of something like that; in fact, that's the far more understandable stance, and perhaps the only rational one. But we all have to do a better job when it comes to thinking that comics is solely or even largely defined by our personal interactions with the medium. You can apologize for not being well-versed in manga, or comic strips, or on-line comics; you don't get to go ahead and assert yours is a list of all the comics. Not anymore. You can pretend there's a cultural anointing that justifies a marketplace bully or two, but you'll have to get used to people who believe just as strongly on what they take to cash register. Close yourself off at your own risk. If you insist on seeing comics as a delivery system for a specific iteration of one genre on a weekly basis, delivering a distinct flavor or thrill, comics will likely disappoint in stunning fashion. If you see them as a single genre, one day that genre will edge its way into a direction not to your liking. If the comics you feel are comics the comics you enjoyed at a certain age, their makers and that era will pass away long before you will and you'll be left among their ghosts hoping for their impossible return. If, instead, you think of comics as a 110-year-old, sprawling array of work in a variety of forms from multiple world traditions all of which is yours to access and enjoy and learn from, well, comics will probably still break your heart, but it might take a bit longer and you'll look slightly less provincial and small-minded when you finally throw your hands up in the air. And it won't be comics' fault when you go. As a bonus, you'll be closer to the truth of things. You'll be able take the Bif Bam Pow out of your own ear before you criticize it in another's. You'll learn new ways to appreciate old, precious objects. You might even stop applying medicine to one part of this particular blind man's elephant under the illusion you're healing the whole. And if you stop for a moment, and blink, and listen closely, you'll discover it's been a herd of elephants all along.